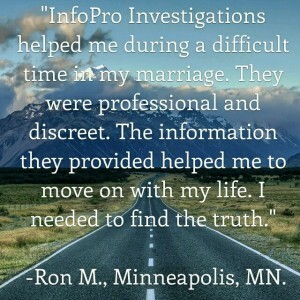 InfoPro Investigations is a Minnesota Private Detective Agency and all communication with us is strictly confidential regardless of whether or not you become our client. We will provide you with a free confidential consultation by calling (612) 302-8165 in Minnesota and (720) 418-8187 in Colorado . We will personally assist you and use our 25 years of investigative experience to help you find the truth. 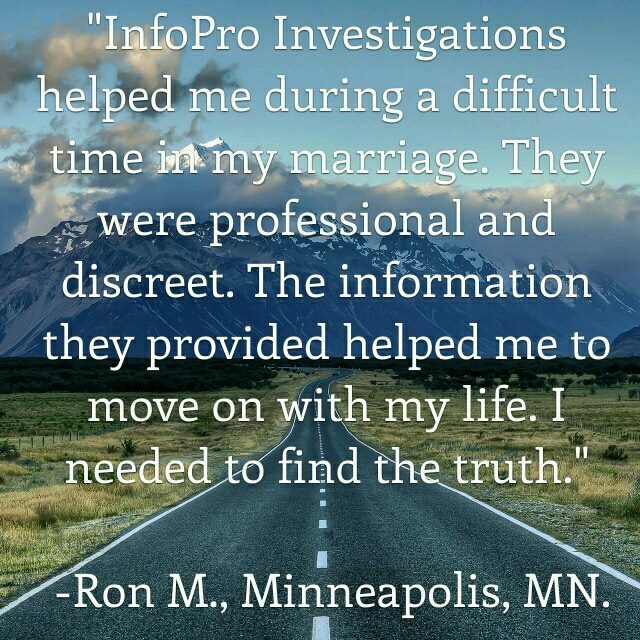 InfoPro Investigations is dedicated to helping you before, during and after our investigation…. We have helped many of our clients with the investigations we have conducted in Minnesota, Colorado and Nationwide. This page includes some of the most important articles from our Private Investigator Blog.